Lookie what I discovered in work in River Island the other day. Now unfortunately I wasn’t the first to discover these as a work colleague reminded me that Cher Lloyd from X Factor, which I’ver never watched a full episode of and wouldn’t follow wore these one of the nights. Annoyingly though they were all sold out in my size, but I’m not giving up and I’ll be going through the stockrooms until I find a pair of them. 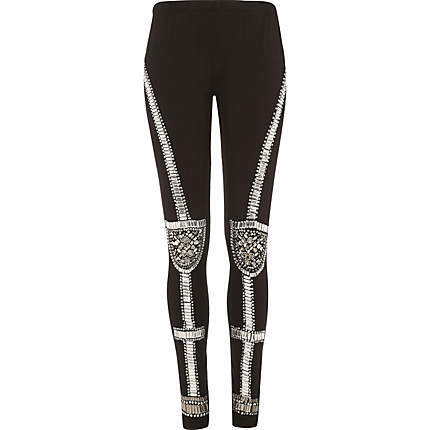 I’m determined to have them and they would look amazing with a long t-shirt or even a floaty dress above it.